Not to beat a dead horse or anything, but do you all remember my series makeover post? 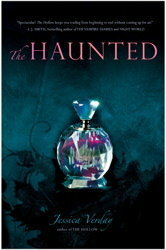 Well, I found another series that has undergone a makeover (and no, the second book isn't even out yet). Nice, memorable, dark. Well, the sequel, The Haunted , is coming coming out this fall, and the cover, while similar to the one above, is a bit different, and the paperback edition of The Hollow seems to have gotten a new look as well. Honestly though, I think I like this change a bit better. The cover model for the hardcover cover looked a little too severe, but this is nice. I like the colors used a lot! I am most certainly looking forward to The Hollow paperback , which I'll probably end up buying, and I am eager to learn more about Abby in The Haunted. I like the new covers too. The original is just a bit too creepy. 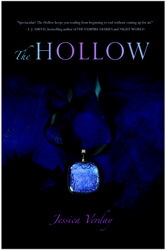 I am really interested in reading The Hollow. I've always liked The Legend of Sleepy Hollow. I will have to add it to my TBR list. Aww. I really liked the original cover--it's so eyecatching! To me the new covers seem a little...blah. Oh, thank God. The old cover was hideous and scared me, but the new ones are really cute. I like them a lot. I actually really love the original cover (bought the book solely for that reason). That stated, I could get used to the new covers, but just don't find them as attractive as the other ones. It's amazing to me how quickly they seem to be changing covers these days. It seems like one is barely out and they change it. I know sometimes they decide a cover doesn't work, but it's happening a lot. As for this series I'm torn. I like the new ones just a tish better than the old ones.